This rental house has a remarkable 3710 square feet of space! This State College home has two bedrooms and two and a half bathrooms. 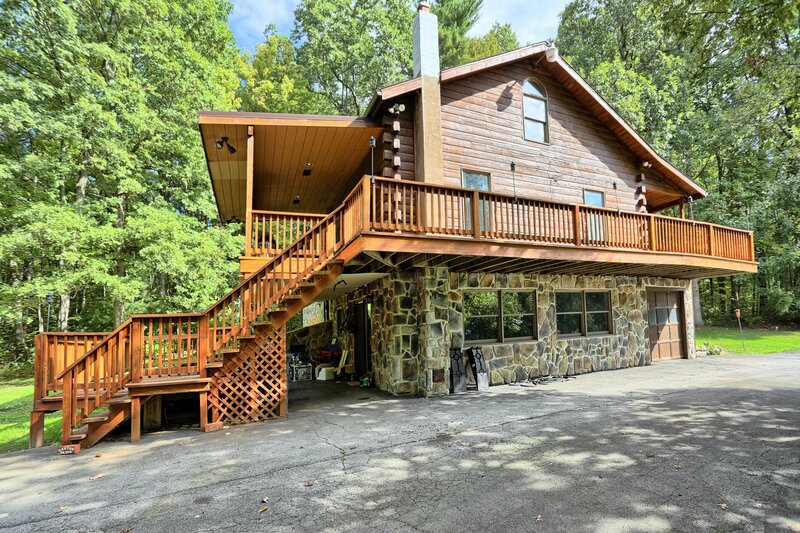 The house has a log cabin feel with three levels and a basement. The finished basement features a bar, rec room, and laundry room. Need more storage space? 1380 Barns Lane also has a utility shed. 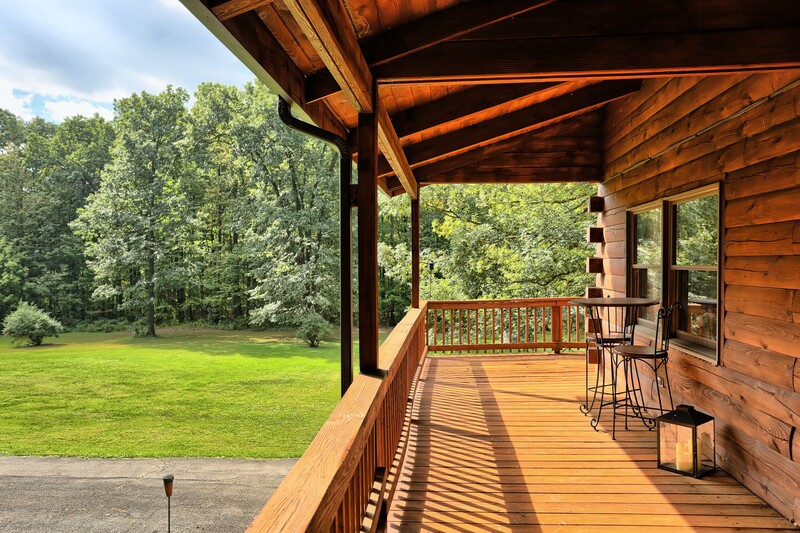 Plus, a wrap-around deck offers extra room for relaxation and entertaining guests with some wooded ambience and scenery. Sorry, we don’t allow cats or dogs. 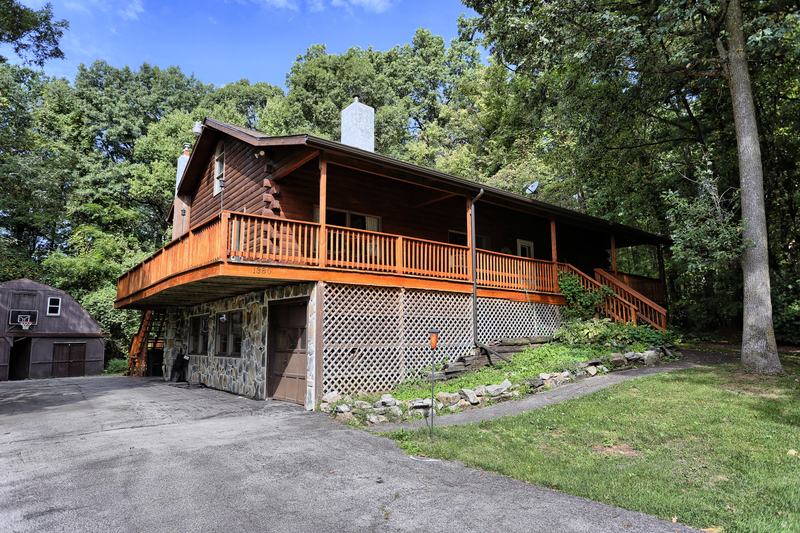 1380 Barns Lane is in the perfect location for anyone wanting privacy while having the convenience of being minutes away from State College hot spots. Residents will be near Penn State University campus, downtown State College, PA, Beaver Stadium, and more. Families will be close to Bald Eagle State Park, The Bellefonte Family YMCA, The Arboretum at Penn State, and Tussey Mountain Resort. To schedule a tour or request more information about renting the house at 1380 N Barns Lane, please call 814-278-7700 or email [email protected]. Property Management, Inc. professionally managed and maintains apartments and houses for rent in State College and Central PA. Property Management, Inc. provides renters with a 24 hour emergency maintenance phone number in case there is house emergency in the night. Visit PMI’s State College office at 317 E Beaver Ave State College, PA 16801 for details. We look forward to meeting you! View more pictures of 1380 Barns Lane on the Barns Lane Photo Page.